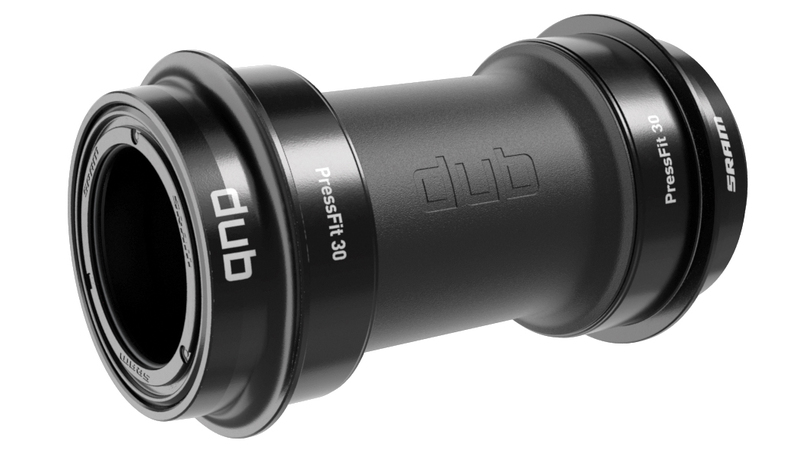 We introduce you the all-new SRAM DUB bottom bracket system, which allows for compatibility with all existing frame shell standards. It’s the one bottom bracket system to rule them all sort to speak. The SRAM DUB bottom bracket system was created to simplify the relationship between chainring, crank, spindle and bottom bracket. It has found the sweet spot between 30mm and 24mm spindle diameters, offering some of their best qualities in one package. Love how the spacers used in DUB “click” into the bearing shields on these bottom brackets. I’ve had speedy aftermarket bottom brackets on GXP cranks and I’m impressed with the seals and spacers in this system. I’ve only had it a few months, no consumers can give any long term feedback but it’s been great so far! Will this bottom bracket accommodate the sram dh xo cranks? BEST ANSWER: No, this is only for dub cranks with a 28.99mm spindle. SRAM DUB cranks all have DUB in the name and just came out a few months ago. Thankyou Phillip. Wierd how they call it "PF 30" if its 28.99! You saved me some hassel! 2 things to look for in a BB. Your bike and your crank spindle. This dub PF30 is for a 28.99 spindle (dub) that goes in a PF30 bike frame. There’s also 24mm PF30 (Shimano), 24/22 PF30 (SRAM GXP), and 30mm PF30 (prior SRAM, Race Face, etc). Will this bb fit my specialized fuse comp? And be able to run the eagle nx drivetrain ?